It’s not always easy making the transition from military to civilian life. But if you ask Samy B., Jeff H. or Khirah W., they’ll tell you the right employer makes a significant impact. As reservists, they’ve experienced great support from Enterprise fulfilling their military obligations. Samy decided to check it out when he returned from vacation. He was intrigued to learn that founder Jack Taylor was a Navy man, too. Samy’s interest in Enterprise piqued during the interview process when he heard about the company’s strong support for reservists. Samy, now a Senior Account Executive for Car Sales in Houston, experienced that support first-hand when he was deployed in 2004. “I was in Kuwait when out of nowhere, three huge boxes with toiletries, snacks and more were delivered to my tent,” Samy recalls. “We didn’t have exchanges up and running then, so it really came in handy. Everyone took notice and was amazed at how Enterprise cared for its employees – even when thousands of miles from home,” he says. In the years since, Samy has seen time and again how the company accommodates his reserve obligations – both for training and deployments. And it’s made him an Enterprise advocate, particularly among the military personnel he encounters daily. For Jeff H., a Support Analyst in St. Louis, Enterprise’s ability to accommodate his military obligations never made him think twice. Trained as a locomotive engineer in the Army Reserves, Jeff today serves in a logistical role as a railway advisor. His team determines whether it’s feasible to use railways to move heavy military equipment to various areas of operation. Jeff’s call-ups tend to come a lot more frequently than most reservists because of his specialized role. A Talent Development Specialist in Memphis, Khirah says her colleagues have been happy to work around her drill weekends from the start. Khirah grew up in a military family. Her two sisters served active duty in the Army and her father retired as a First Sergeant in the Army. 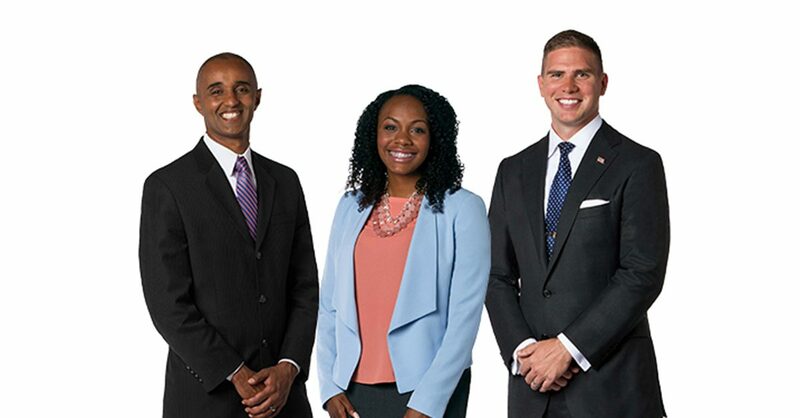 For more information on how Enterprise supports employee servicemen and women, visit the Enterprise Holdings Military Careers page.